Awesome sink! 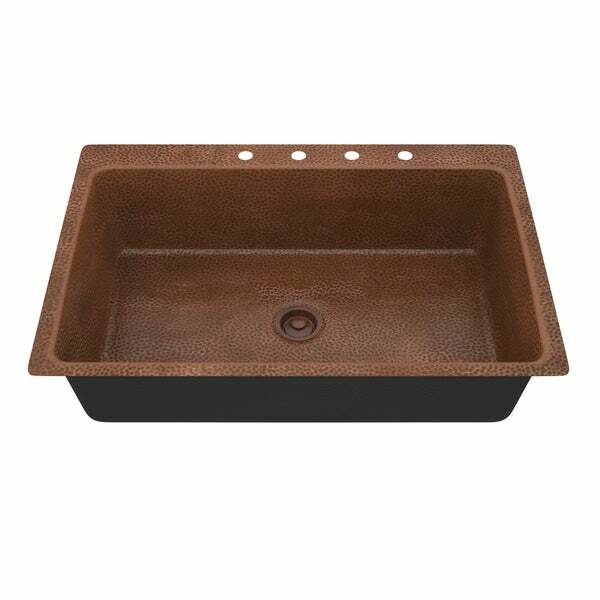 Just recently started a kitchen remodel and we searched high and low for an affordable copper sink. This one came in packaged very well and our plumber said it was a breeze to install. So far, it has held up nicely! Just be sure to clean it weekly with a proper copper sink cleaner. ANZZI presents the latest trending in modern antique elegance with the Cliff series drop-in kitchen sink. All ANZZI Cliff kitchen sinks are handcrafted using only Rhino Alloy certified artisan copper. This drop-in sink is perfect center piece for your kitchen. Become a member of the ANZZI family and experience why Perfection is our Tradition. Dimensions 33.75 In. X 22.0 In. X 8.5 In.